Greyhounds show a consistently higher heart-to-body ratio than most breeds of dog. This is a genetic fact. The heart of a greyhound is so much more, though. The greyhound heart has a sense of humor. This fact can be illustrated by a chance encounter. Tauri and I went to a local pet feed store. These stores are really great because your pet is allowed to come in and shop with you. We got out of the car and walked into the store. Tauri was walking sedately by my side, and then his hackles went up. His tail wagged slowly, coming to strict attention, his ears, alert and erect. The leash felt like a taut telegraph line, straight to me. With my field of vision blocked by the store counters, I was dragged to the front of the store. There, in the center, were life-sized dog statues. The one which seemed to have gotten his attention was a huge rottweiler. At this point, I am laughing inside. Tauri, stalking the statue, slowly approaches it. When he is finally nose to nose with it, he does a play bow and barks. The “other” dog does not respond. Tauri sniffs it all over, and then, with a look of sheer puzzlement, he looks up at me. I started laughing out loud and Tauri, totally embarrassed, gave me a look that said, “I blew it.” “Yup, kid you did,” I said. Tauri understood that I was laughing with him and not at him. The greyhound heart can still hear the call of the wild. I attended a greyhound reunion recently. At this event, adopters and their greyhounds get together to schmooze, share stories, buy greyhound stuff, compete in fun classes, and, in general, have a blast. During a break in the event, the emcee, just for fun, started to howl into the microphone. This caused a lot of greyhound ears to prick up with interest. Many muzzles tilted in the air and almost simultaneously, there was a collective sound of AAAAARRRRRHHHHHOOOOO!! It quickly drowned out the emcee’s howl. When it was finished, there was much clapping and laughing. Small human and hound roos can take place daily in your home. Just lift your chin and start to howl. Your hound will definitely join in. A good roo-a-day helps keep the family pack in order. The greyhound heart shows fear. If you have ever brought your dog to the vet’s office and placed him on the examination table, the entire table will start to vibrate. Your dog’s back will hunch up; the vet will think he is having a seizure. Tell your veterinarian to guess again. Watch your dog’s feet. They are bending downwards, nails attempting to grip the shiny metal table surface. Of course, the dog cannot get a good grip, hence he and the table look like a spin cycle of a washing machine. Best Bet?? Have the vet treat your hound on the floor. Put him on the table only to weigh him. The greyhound heart also shows courage. It’s your first agility class with your dog. Agility is a sport for dogs of all ages and also their owners. The dogs negotiate a series of obstacles, such as catwalks, A-frames, jumps, and seesaws. This builds confidence in your dog and also yourself. You can compete in matches and trials. So, there you are with your dog. The obstacle to be learned this evening is the tunnel. Encourage your hound to go through it. “No way,” he says. “I ain’t going in there.” With much encouragement from you, your dog finally goes through. He comes out the other end with a big greyhound grin and a wagging tail. You reward him with a treat and plenty of petting. He is showing true courage and confidence in you. He knows you will never ask him to anything that will put him in harm’s way. Eventually, the greyhound goes through the tunnel and a series of jumps so quickly, the trainer shouts out to you, “You have to slow him down.” What? Slow down a greyhound? 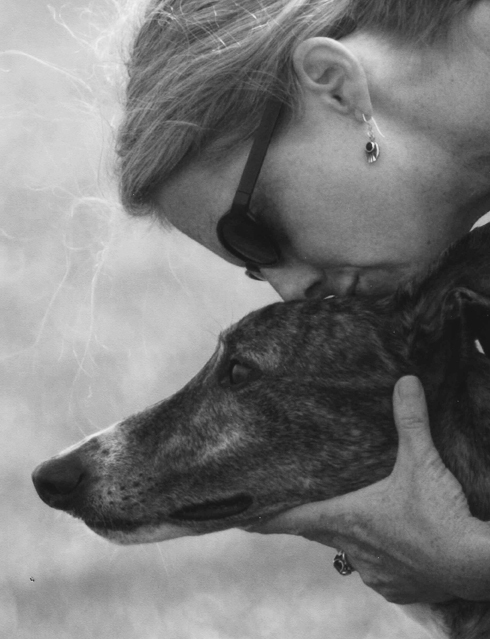 A greyhound heart is also love. It is the first time your dog comes to you, places his head on your knee, leans into you, moans softly, looks at you and wags his tail gently. Heart??? It is all right here; as big as it can be!! !